Grant H. Peters is a partner in the Chicago office of Barnes & Thornburg, a member of the Intellectual Property Department, co-chairman of the Climate Change Practice Group, a member of the Professional Responsibility Committee, and a member of the Internet and Technology Law, Advertising and Marketing, and Nanotechnology Practice Groups. Grant is an experienced attorney with a broad national and international practice focused on intellectual property development, management, protection, and enforcement for a broad spectrum of businesses and technologies. He regularly counsels clients on IP issues including patent, trademark, and copyright prosecution; patent and trademark litigation, clearance, validity, and infringement opinions; IP due diligence investigations; IP audits; and Internet issues. He also provides counsel to a variety of clients which have a focus on green technology and green, sustainable, and fair trade business. Grant's patent prosecution practice involves mechanical, electromechanical, system, business methods, design, and plant patents. He has filed, prosecuted, and/or secured thousands of patents, trademarks, and copyrights domestically and internationally, and uses that experience to counsel clients on the development of intellectual property strategies and portfolios. Prior to practicing law, Grant was an engineer and patent specialist for Interand Corporation, a developer and manufacturer of videographic teleconferencing systems. He also worked for Rockwell International Corporation in the areas of commercial and general avionics as well as printed circuit board design and production. Grant actively participates in and organizes community action projects, frequently working with a diverse group of local and national charitable and not-for-profit organizations. He has served as Vice President of the Board of Trustees of Chicago Sinai Congregation and serves on its House Committee, Interfaith Committee, Islamic Relations Group, and Social Action Committee. 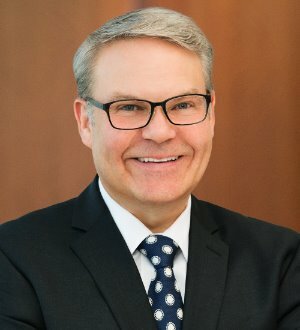 He also has served on the Board of Directors of the Boy Scouts of America - Chicago Area Council and has served on the Board of Directors of the Suzuki-Orff School of Music. He has volunteered for Cabrini Green Tutoring, Habitat for Humanity, and Hurricanes Katrina and Sandy relief projects.